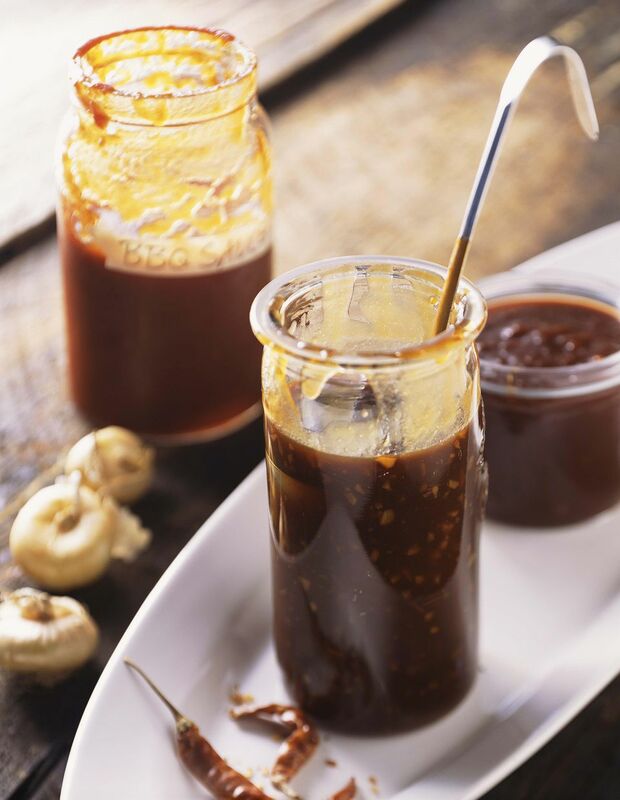 This spicy and flavorful barbecue sauce is layered with savory ingredients to make it complex yet perfect to compliment foods without overpowering them. Adjust the spiciness by altering the amount of chilies you add. You can also reduce the heat by removing the seeds from the dried chilies. Place dried chilies in hot water for 15 minutes to soften. Pour water and chilies into a blender and blend until smooth. Sauté onion and garlic in oil. Pour in blended chilies and add remaining ingredients. Bring to a boil then remove from heat and allow to cool. For a smoother sauce, return cooled sauce to blender and blend until smooth. Store in an airtight container in the refrigerator for up to one week after preparation. While you can use the sauce immediately, it's recommended that you let it rest in the refrigerator for at least 24 hours before using. This will allow all the flavors to blend well.